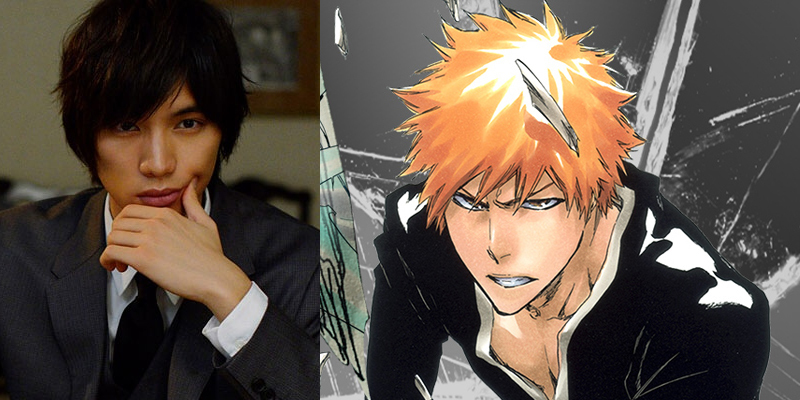 There’s been some news for the live-action Bleach movie. News was revealed on Twitter that the live-action film from Tite Kubo’s Bleach manga reveals that the film will premier in Japanese theatre in summer 2018. More news will also come tomorrow as it is a Japanese holiday of Tanabata (Star Festival) which features a myth about the deities Orihime and Hikoboshi. I’ll keep on top of this as more news of the movie is revealed as it seems the time to wait is already upon us. Sota Fukushi (who played in Toshokan Sensō/Library Wars’ Hikaru Tezuka, live-action Strobe Edge’s Ren Ichinose, live-action Kami-sama no Iu Toori’s Shun Takahata) will play Ichigo Kurosaki in this movie. The movie will also be directed by Shinsuke Sato who has previously worked on live-action Gantz, Gantz II: Perfect Answer films and Oblivion Island anime film. With this mentioned, I personally will definitely watch the live-action as I’ve been a longtime fan of Bleach for the longest time now. And seeing a live-action version of that will definitely just add to the show for me. Still, what do you think? Go ahead and comment down below telling me what you think about this news. A year left before we get this live-action movie. I just hope the live action isn’t so bad. I wonder what the movie will focus on? Seems like it’ll be the first few volumes of the Manga. 1 to 8 to be precise. That’s perfect! The Agent of the Shinigami Arc is amazing.